Is the field of dentistry that focuses on replacement of one or more missing teeth due to tooth fracture, tooth extraction, endodontic treated tooth, missing tooth from birth etc. Is called fixed because the new restoration in permanently attached to the neighbouring prepared teeth and the patient cannot remove it. Crown: is the restoration of the anatomical crown of the tooth. During the treatment, we have to prepare the tooth in order to cement a covering for it. This covering can be made of full porcelain or a porcelain fuse to metal crown. Inlay/onlay: restorative type of prosthesis. Inlay: we use it in case of a high amount of caries in the occlusal table of the tooth. Onlay: it is a cusp covering restoration. Is used in cases that the patients have few or no teeth in their oral cavity. Although is cheaper than dental implants it can give you optimal aesthetic and functioning results. In case the patient is fully edentulous (has no teeth). The replacement for it will be a total removable denture. Total removable dentures can help the esthetics, mastication, speech and bone resorption problems of the patients. 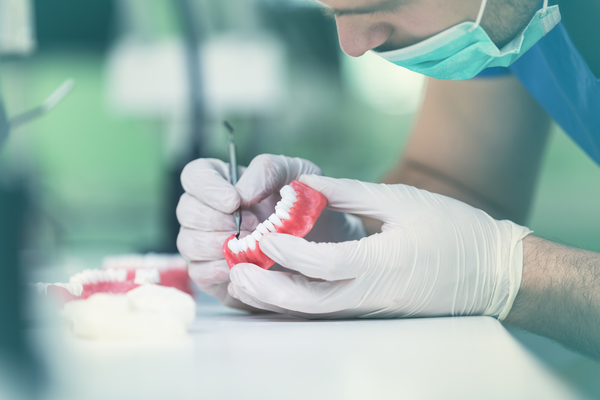 In case of remaining one or more teeth in the oral cavity, the partial removable denture method can be made. The denture will be guided by the remaining tooth/teeth in the mouth. Both removable dentures can be made combined with implant treatment in order to keep the good esthetic and functioning of the oral cavity.